The music business, the world of bon vivants and American culture lost a great fellow on December 14th, when Ahmet Ertegun passed away at 83, from injuries sustained in a fall backstage with the Rolling Stones at Bill Clinton's 60th birthday party in October. I knew Ahmet back in my rock and roll days, he regaled me more than once. He and Mica once took Jac Holzman and I out for my birthday in New York. We had Peking Duck. We were mutual fans and colleagues of a sort. I'd like to say kindred spirits, but Ahmet, well he was just unique. Here are some Ahmet stories, edited from different chapters of my first book, Trips, Rock Life in the Sixties. Ahmet Ertegun, son of Turkey's Ambassador to the U.S., grew up in Washington D.C. hanging out with Ralph J. Gleason. He loved finding old records by black artists, usually discontinued discs from fly-by-night labels, some unique and irreplaceable. He and his brother Neshui would go through stacks of them, knowingly pick out masterpieces, buy them for pennies and sell them to collectors for as much as $25. Neshui, a gentleman of calculating mind and disarmingly formal demeanor,was the stable element of the duo; Ahmet was the character, a music wizard, a renegade and a fast thinker with an outrageous sense of humor and timing. Ahmet was such a raconteur that his dentist couldn't get him to shut up long enough to drill his teeth. At one appointment in 1947 he was telling the dentist stories of his success in picking and reselling rare old 78 RPM recordings and he dentist was talked into lending Ahmet the money to start Atlantic Records. Atlantic became a prestigious successful jazz, pop and R&B label, one respected by musicians and consumers. Atlantic ruled the roost until Motown came along. After many major hits and a foray into rock, Ahmet decided to court the Rolling Stones when their contract with Decca expired. He hung out with Mick Jagger, winning his confidence, entertaining him, wheeling, dealing, negotiating and cooking up schemes. It came to the point where Jagger was about to make a decision but was holding out for time. Ertegun placed a call to Jagger and asked for a commitment. Jagger replied that he'd decided to talk to Columbia records to see what they would come up with. Ertegun was perplexed and annoyed. "Look," he demanded, with an air of finality. "I've got to know your decision soon because I've a decision of my own to make. It's either you or Paul Revere and the Raiders." And with that, he hung up the phone. Jagger signed a deal with Atlantic, even though other labels offered them more money. 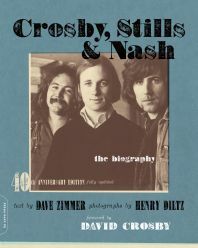 Years later, Ahmet signed Crosby, Stills Nash & Young to Atlantic, recognizing their potential as a super-group but almost as soon as the first album was finished the group had internal problems that seemed certain to split them up. Steve Stills, to whom Ahmet was very close, had actually left the group. Atlantic had invested a huge sum in advances and production costs. Ahmet was quite irritated with them. "That group is gone." Ahmet told me unhappily at a small dinner party in his New York town house. "The only way they'll get back together again is for the other three to go to Stills and ask him to come back, but they'll never do it. There too proud and they're too hurt." Ahmet was really and uncharactaristicly upset. I suggested they replace Stills with another bass player, mentioning, half in jest, that Paul McCartney was free (the Beatles had recently broken up). I thought it'd make Ahmet laugh. Instead, his eyes lit up and he turned to me, saying "That's a tremendous idea. Tremendous!" He lowered his voice. "I wonder how much Apple would give me for the other three?" Of course CSN&Y reformed, broke up many times and reformed again. They are touring now, very much alive, and so are the Stones. What a legacy of music and stories Ahmet has left. I feel privileged to have known him. You'll find lots of bios on line with the fascinating and improbably wonderful facts of his life. 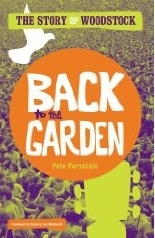 I very much enjoyed Artie Wayne's post and personal stories, Ahmet Ertegun R.I.P Rock In Perpetuity! on his blog. My condolences to Mica and an entire world of music that will miss him dearly.